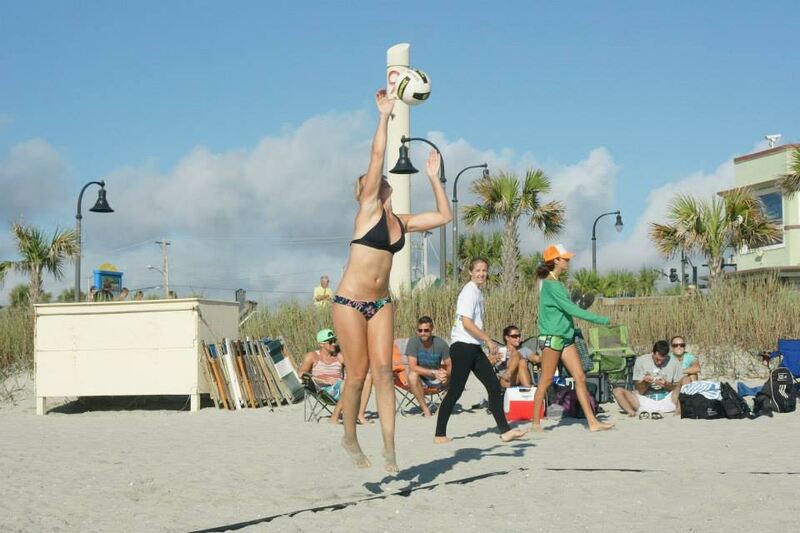 Our Year Round Program’s are designed for the athlete who prefers Beach Volleyball to indoor volleyball and is committed to taking his/her beach game to the next level; whether that is competing in a higher level in tournaments, having a goal of becoming a collegiate sand volleyball player, possibly playing at the pro level, or even an Olympian. 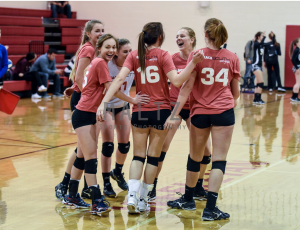 REQUIREMENTS – This program is designed, but not exclusively, for players who have played in a beach tournament prior, who are dedicated athletes who understand the tough training program listed above, willing to dedicate themselves to a higher level of commitment. Players should be able to set (bump or hand), know the fundamentals of jump serving, able to place shots/put the ball away, able to block effectively or accurately, consistently dig balls to target and be hungry for the win. COMMITMENT – There are different commitment levels depending on which group you are training under. COLLEGE RECRUITING – Personal recruiting plan with specific educational and athletic goals. Introductions to college coaches. Priority for recruiting camps and clinics. TOURNAMENTS – Varies depending on what program you are in. Every athlete is encouraged to play as much as they can, regardless of which group they are in though. AGILITY & JUMP TRAINING – Agility and sand plyo’s will be done before every practice. If you are in our CDP Program you will also have weights and gym time built in. 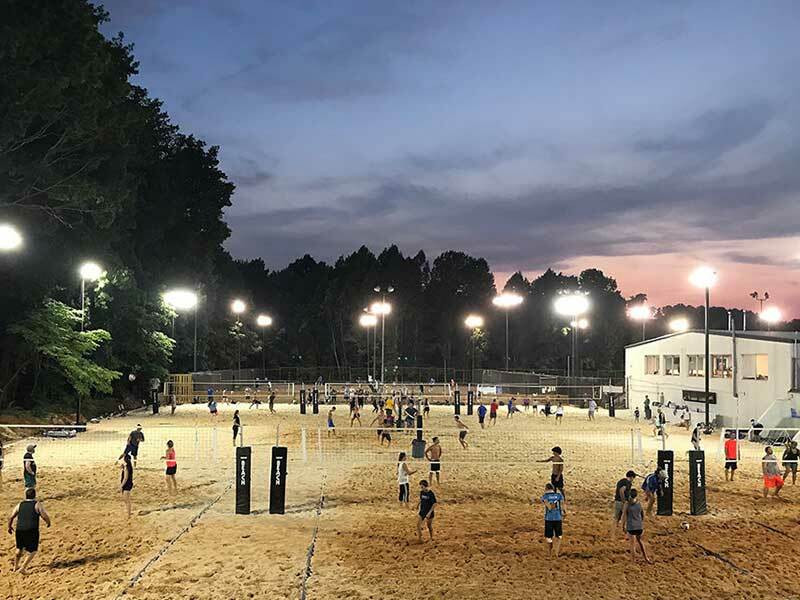 BEACH CAMP – We will look to host several college camps and host another camp with AVP Pros. Pros to run private practice with Year Round players. LOCATIONS – Depending on the Beach South location you are training under. Check with your Beach South location Director or email us to get your specific training locations. NUTRITION – Training on how to eat, when to eat, and what to eat for optimal performance. Athletes in our CDP Program will spend more time on this piece and have a session or two with a nutritionist for more specific info. Program Fees include a Players Package. Contact us for more information. Cost Breakdown: Cost for the season is $3200. Based off of our long season and length of practices the per practice rate comes to $8 – $10 per hour. There is a $200 returning player discount and a 5% discount if season paid in full at registration. Cost will include: Coach’s salaries, practice facilities, strength coach, gym rental, nutritional education and plans, video work, help with networking with college coaches and recruiting, and a player package ($600 value). The Beach South Triad facility is available any time for CDP Athletes as long as there is no scheduling conflict. Tournament fees and travel expenses are not included. Coaches will be available at tournaments for Year Round players. We will do one tournament a month as a club, most likely more (optional). AAU and USAV National’s will plan to have coaches attend depending on funding. Interviews will be required for this program along with an evaluation/tryout. Please have your interview and registration completed before the evaluation/tryout date. Evaluation/tryout date to come. November – February = 3 x a week; 2 x in sand (depending on weather), 1x strength/agility/jump training. (Typically more weights and jump training early in the season ) Nov – Jan.
*Interviews will be required for this program with player and parent along with an evaluation/tryout if needed. November – June = 2 x a week in the sand. (Depending on weather, video work, track) Plyos and agility at every practice. ** Practice days will be Sunday’s and Tuesday’s Nov – April, and Tuesdays and Thursdays May – June. Cost Breakdown: Cost is $2200 for the season. Based off of our long season and length of practices the per practice rate comes to $12 – $14 per hour. There is a $200 returning player discount and a 5% discount if season paid in full at registration. Cost will include: Coach’s salaries, practice facilities, speed and agility training, gym rental (as needed), nutritional education and plans, video work, help with networking with college coaches and recruiting as needed and available and player package ($300 value). The Beach South Triad facility is available any time for Elite Program Athletes as long as there is no scheduling conflict. *** Tournament fee’s and travel expenses are not included. Coaches will be available at tournaments for Year Round players. We will do one tournament a month as a club, most likely more (optional). AAU and USAV National’s will plan to have coaches attend depending on funding. November – March = Player required to come to 1 out of the 2 Elite Program practices scheduled, players choice. April – June = 2 x a week in sand with the Elite Program group and schedule. Cost Breakdown: Cost is $1400 for the season. Based off of our long season and length of practices the per practice rate comes to $15 – $16 per hour. There is a returning player discount and a 5% discount if season paid in full at registration. ** Part Time player gets access to the Beach South Triad facility at any time as long as there is no conflict in schedule. Limited player package included with this group. Help with recruitment, nutritional education and plans also included, along with video work sessions as needed and available. *** Tournament fee’s and travel expenses are not included. Coaches will be available at tournaments for Year Round players. We will do one tournament a month as a group, most likely more (optional). AAU and USAV National’s will plan to have coaches attend depending on funding. We will be participating in 2 indoor events as a club for the 2017-18 season. This is NOT mandatory, but sign ups, commitments and payments will be required well in advance of each event. Tournament cost, practice times, gym time and travel expenses are not included in the CDP or Elite Program dues. This is an option for any athlete in either program who would like to participate. We will have one 16s team and one 18s made up of the best available athletes. We will look to be participating in events in the months of January – April. 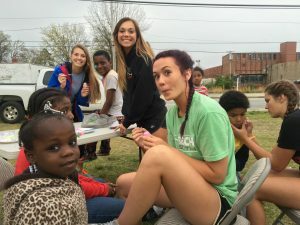 Our tag line is Growing Athletes in Sport and Life, and as a part of that statement we have done service projects in the past and will continue to do them in future. We want to be active and involved in our communities and make a positive difference in them. We will be doing 3 to 4 this up coming season. Everyone is expected to be at these events and is open to our Part Time athletes as well or any of our spring and summer athletes that may want to come. More details on these will be given out as the season begins. Beach South offers something for everyone- join in the fun!